There are three types of iMessage apps. Stickers, stand alone iMessage apps, and iMessage apps bundled with their regular app counterpart (Stickers can be stand alone or bundled). Stand alone iMessage apps have a usability issue which will hopefully be addressed as soon as possible, that being, people seem to not understand how to even launch the app. A friend of mine, Adam, developed an iMessage app named Cloaked. The app allows you to blur images and text before sending them to friends via iMessage. The recipient is able to unblur the photo via TouchID confirmation. 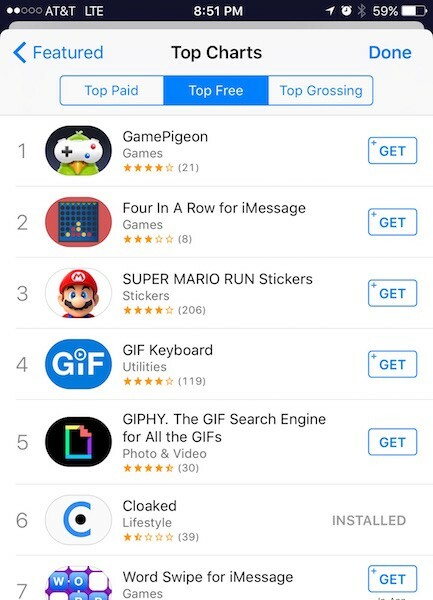 Soon after release into the iMessage App Store, Cloaked was featured in a Mashable article which drew attention toward Cloaked. This drew so many eyes that Cloaked was able to receive over 9,000 downloads in a single day. This pushed Cloaked up toward the top of the Messages Top Free Apps. What followed was the single biggest issue in iMessages apps. 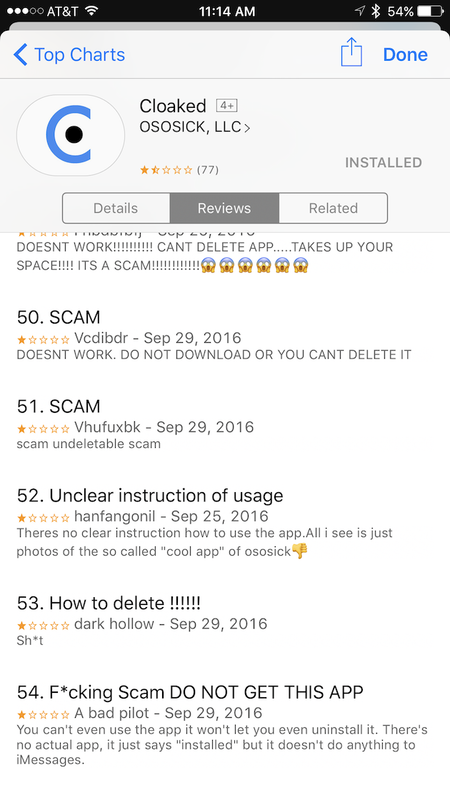 Something that caused Cloaked to become a 1.5 star average app although it was a totally free app with functionality that worked as advertised. External links, like Mashable, for iMessage apps takes users to the normal App Store. This is fine since the user is still able to download and install the iMessage app through this route. The problem is that users have no idea where to find the app at this point. Many look for an icon on their home screen. 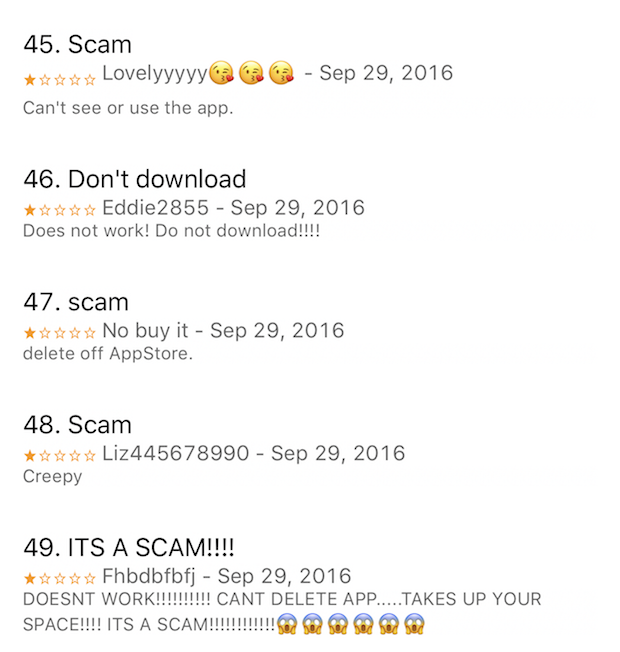 Once they are unable to locate the app, they start to panic. 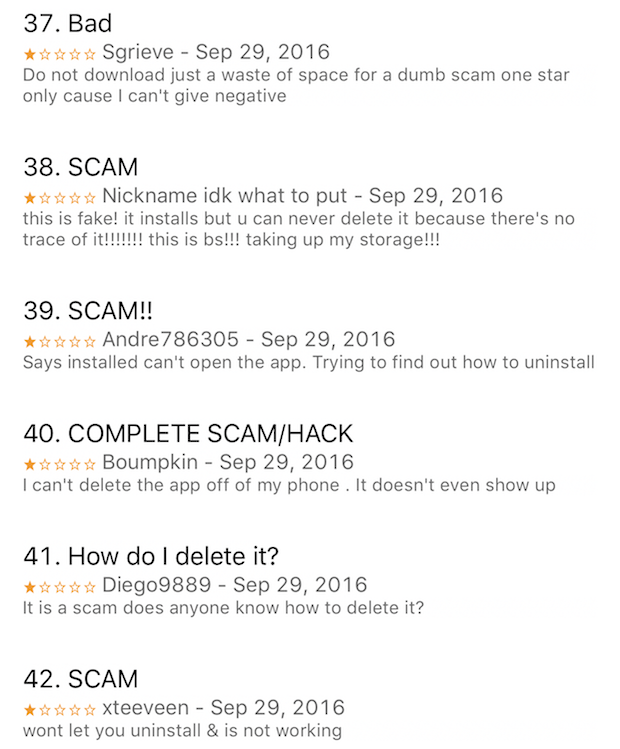 And so starts the barrage of one star reviews for an otherwise 5 star app. This does not happen for user that discover apps through the iMessage App Store since they already understand how iMessage apps work and where to find them. 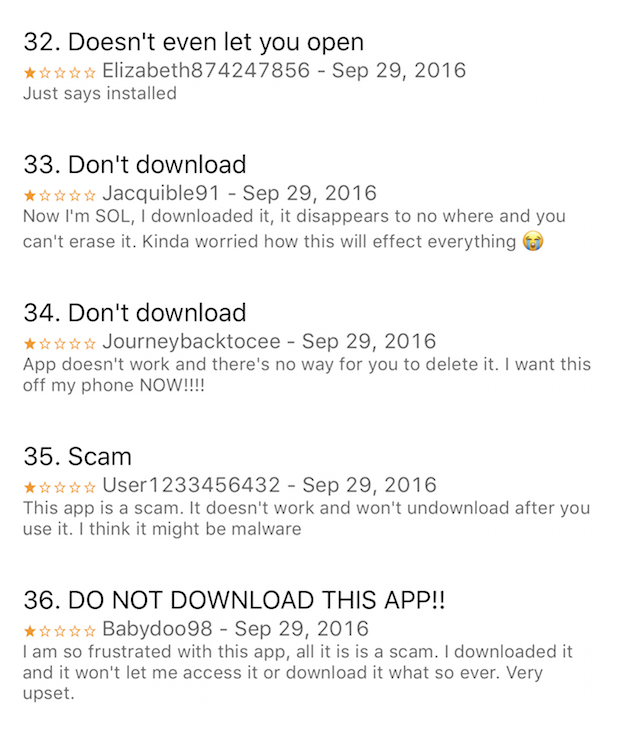 The resulting reviews from confused users lead to ratings that can kill an otherwise successful and useful app. I leave you all with screenshots of an App Developers worst nightmare. Feel free to check out Cloaked for more nightmarish reviews. For those of you that understand how iMessage apps work, feel free to verify the app does in fact work!